The hot stone massage is arguably one of the most popular types of massages you can get at spas in Folsom or anywhere else. It is a classic massage therapy that makes use of flat and smooth basalt stones heated to a certain temperature and then placed on the body. It is believed that this type of massage dates back to 1500 B.C., and because of its many benefits is still a preferred treatment by many massage therapists today. Read on to find out what benefits a good hot stone massage has in store for you. Poor blood circulation can cause many other health problems because the body isn’t getting oxygen where it needs it most. 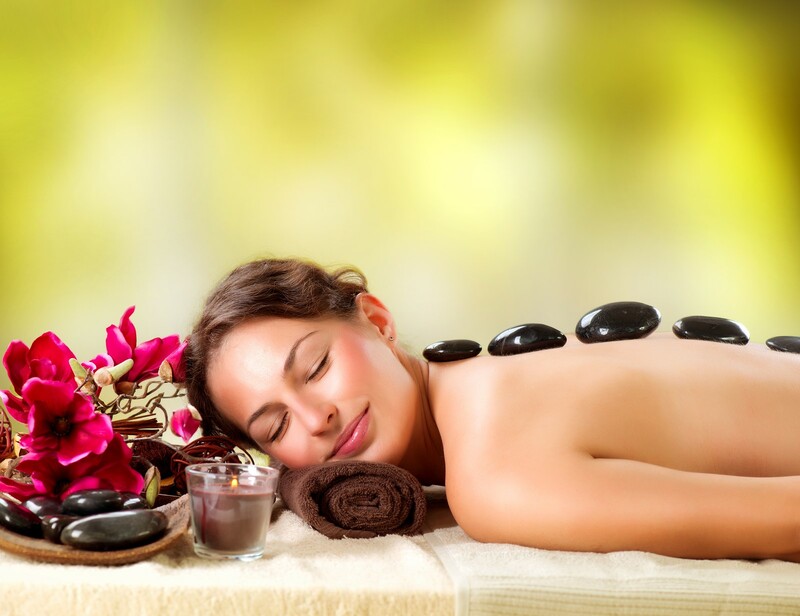 Hot stone massage helps by loosening your blood flow. The massage therapist places the heated stones on the trigger points of your body, the energy centers. As the heat from the stones travels deeper into your body tissues, the blood vessels open up to allow more blood to flow, thereby improving your circulation. Heat can be very relaxing as evidenced by many other treatments revolving around the use of heat such as hot springs and saunas. Incorporated in a massage, heat can also help relax your muscles. The stones used in the hot stone massage have a high iron content that retains heat so well. The heat penetrates deeper into the tissues to get at the tension and pain in your muscles. The intense nature of the massage actually helps counter pain caused by tension, injuries, and even stiff joints. This is why the therapy is often recommended to individuals with back pain and arthritis. Oddly enough, a hot stone massage isn’t only for people with body-related physical pains. It also has a calming effect on the mind. As the therapist gradually places the stones on your body, you will feel your mind go into a deep state of meditation. During this time, your mind helps your body to rejuvenate and re-energize. It relieves mental stress and tension effectively, which is why it is recommended for people who suffer from depression, anxiety, and even insomnia. A hot stone massage can be just what you need for much deserved rest and relaxation this summer. Health and wellness spas in Folsom, CA like The Healing Station offer hot stone massages and other customized massages for your specific needs. To schedule your massage in Folsom call us today at 916-294-9980 or go to the top of our website and select the Schedule Online link.